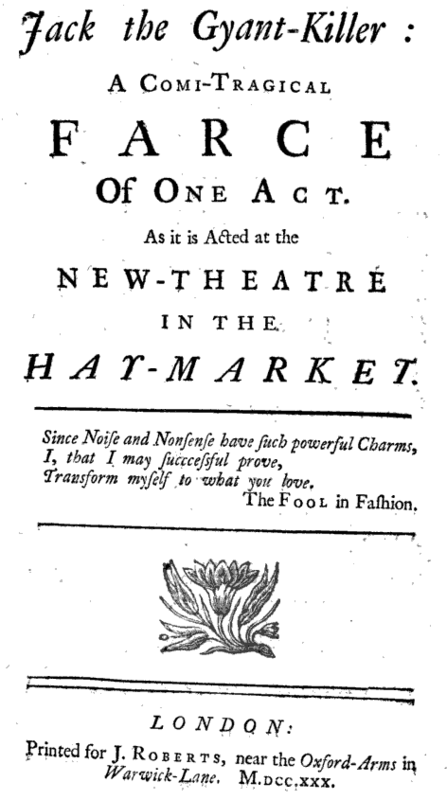 This 18th century play contains the earliest description of cartomancy in action. The text below is from Jack the Gyant-Killer: A comi-tragical Farce of One Act as it is Acted at the New-Theatre in the Hay-Market [London]. Again, thanks go to Stephen J. Mangan, (aka Kwaw) at Aeclectic’s tarotforum for finding it. In this play, Jack (the Knave of Spades) strives to have Reason triumph over the woman Folly (the Queen of Hearts) who is attended by four Giants (named as they are in the traditional Jack-and-the-Beanstock story). 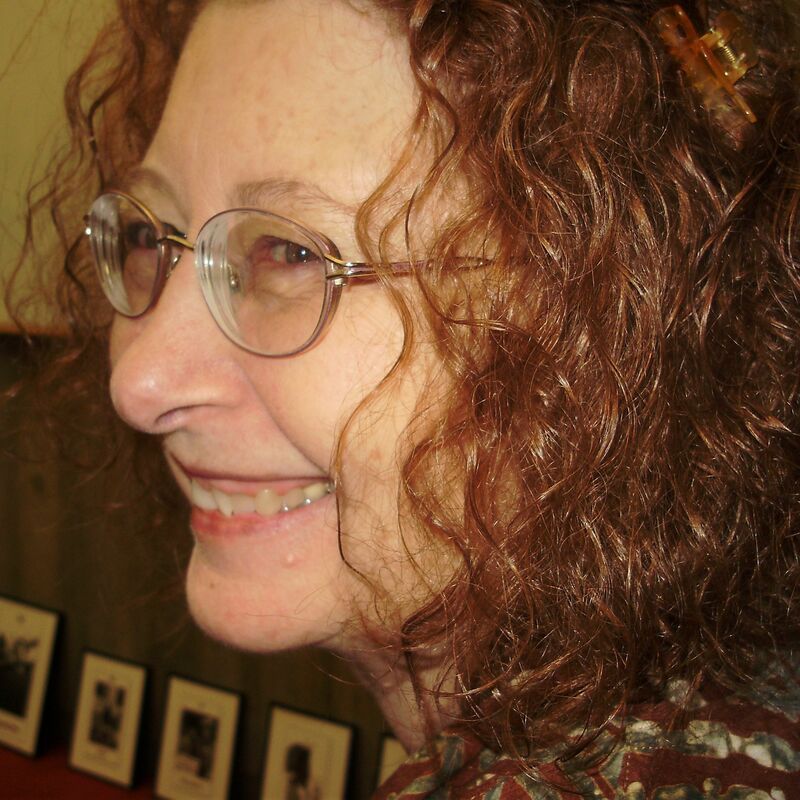 Three other women offer predictions using Coffee, Tea, Snuff and, finally, Cards—which we are told are newly invented for fortune-telling. If we, my Friends, shall conquer, or the Foe. . . . Folly. You shall be satisfy’d anon- ….. — but we must lay the Cards first — Time presses, and the Princes must depart. Give us the Cards, that in our several Turns we all may Cut : I am the Queen of Hearts. First Woman gives the Cards to Folly, then to each of the Gyants, who cut, and deliver to her again, and he lays on the Table in Rows. First woman. You. Lord Gormillan, are the King of Clubs; Lord Thunderdale shall be the angry Majesty of Spades; The Diamond Crown Lord Blunderboar shall wear; and King of Hearts Lord Galligantus shall assume. The Knave of Spades, Madam, seems to threaten Danger, but he lies oblique, and the Ten of Hearts between them shews he wants Power to hurt you — ‘the Eight of Clubs and Ace over your Head denote A chearful Bowl and Mirth will crown Night — all will be well — these Princes are surrounded with Diamonds; the Eight lies at the Feet of Lord Gormillan; the Deuce, the Four and Five are in a direct Line with Valiant Thunderdale; the Tray and Nine are at the Elbow of great Blunderboar, and the Six and Seven are just over the Head of noble Galligantus. Some Spades of ill aspect mingled with them, but the Hearts and Clubs take off their malevolent Quality. Enter Jack and his Party, they throw down the Table, Cups, Cards, &c.